Steelheaders across the Great Lakes are quickly discovering the many advantages of using tube flies for catching steelhead like this late fall buck caught on John Nagy's Lake Erie Emerald Shiner tube fly. Many Great Lakes steelheaders have seen the popularity of tube flies grow over the years but have been reluctant to give them a try. This is a shame, because tube fly systems are especially effective when used to replace the large/long shanked streamer hooks typically used in steelhead streamer, wooly bugger, leech and baitfish patterns and are even useful in steelhead nymph, wet and egg patterns. In recent years, some Great Lakes steelhead tube tyers have incorporated West Coast Intruder designs, Scandinavian Temple Dog styles and even traditional spey and salmon flies into their tube flies. These new tube fly patterns have proven to be killer for steelheader’s chasing chrome in the Great Lakes (including tributary brown trout, salmon and smallmouth). Steelheaders these days have an amazing number of tube fly components and systems available for both the novice and experienced tube tyer. From basic tube fly components offered by HMH, Heritage Angling Products, Tubeworx or Veniard or more extensive, “buildable” systems offered by the Canadian Tube Fly Company, Pro Sportfisher, FutureFly, Eumer, Tubeology, Frodin FITS, tube flies have never been more easily made. Many tube manufacturer’s also now also offer tube fly starter kits (including vice adapters and tube tying needles), making it even easier for the tube fly wannabe to get into the game. Why use tube flies for steelhead or any other species for that matter? The advantages are numerous, but before pointing these out, the tube fly newbie needs to know the basics of the tube fly system. In a tube fly design, the fly is tied on a hollow plastic or metal tube (separate from the hook) which allows the leader to be threaded through and tied to the hook. 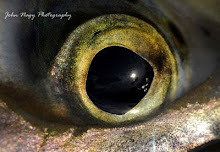 The tube fly can then be allowed to spin free of the hook when fished or more commonly connected to the rear of the tube body either by direct hook insertion or by using a short section of hard vinyl or soft silicon “junction tubing” for the hook/tube body connection. One of the biggest advantages for using a tube fly system with steelhead patterns would be the big fly, small hook advantage. Great Lakes baitfish patterns when tied on large/heavy, long-shanked streamer hooks can be hard to cast and will twist and bend during a fight resulting in a dislodged hook and a higher percentage of lost steelhead. Tube flies allow the steelheader to use smaller, lighter hooks (in combination with a large pattern) which are safer and easier to cast, greatly reduce the number of lost fish and cause less injury to a steelhead versus the “lever-action” of a long-shank streamer hook which can gouge a much bigger wound in a fish’s mouth during a long fight. 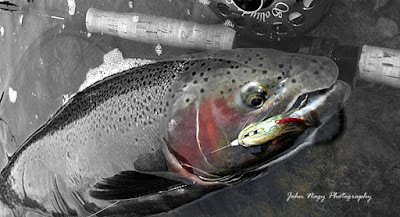 Tube fly hooks are typically short-shanked, medium wire, straight-eye designs (for tube body insertion) which have a large bite (hook gap) for big species like steelhead. Another big advantage of tube flies is that the flies last much longer than in standard hook designs. After a fish is hooked on a tube fly, the fly normally disengages from the hook and slides up the leader out of the way. This greatly extends the fishing life of the fly since it is not damaged by the steelhead’s teeth during the fight and is less likely to get soaked from stream mud or sediment when the fish is landed along the stream bank. This disengagement also makes it easier to remove the hook from a steelhead’s mouth since there is clear access to the hook. Tube flies will not rust out (after use) in your fly box like conventional flies using carbon steel hooks (including Waddington shank flies) since the hooks are separate and can always be replaced. Steelhead nymph, wet and egg patterns are typically tied on smaller hooks than streamer type patterns, so the big fly/small hook advantage is not a factor when tying these patterns up into tubes. But tying eggs and nymphs in tube designs will certainly extend the fishing life of these flies. 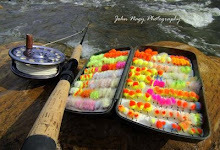 -A dull or damaged hook can easily be replaced with a new one on the stream without discarding fly. -Tube flies are generally more economical to tie since only a handful of hooks are needed for dozens of tube flies (although some specialty tube bodies can be pricey). This is especially true when comparing the price of tying on expensive streamer and salmon hooks versus a small quantity of small tube fly hooks. -The hook can be adjusted to sit further back in longer tube fly patterns (to compensate for “short-striking” fish) by using a longer tube body, extending the junction tubing hook connection or using a “loop” knot for the leader to hook connection (where varying the monofilament loop size to position hook behind the tube fly). -The hook can also be positioned in the “up” position (like a keel fly) reducing the chances of bottom snagging. This is very helpful when fishing a heavier metal tube body design. -The hook changing ability of a tube fly enables the fly fisher to easily change the hook design as well as size (thereby increasing or decreasing hook weight) which can help balance the fly and make it swim level on the swing. -Tube flies allow you to control the weight of the fly by changing the tube material (copper, brass, stainless steel, aluminum) used for the specific fly pattern. Plastic tubes are ideal for lower flows (although faster sinking systems and leader adjustment can effectively sink plastic bodied tube flies in faster, deeper flows). -Tube flies are “stackable” on your leader, allowing you to change the size, color and material density of a tube fly as river conditions dictate. -Tube flies can be “converted” into a number of patterns by mixing and matching various “head” and “tail” segments right on the water. More detailed information on tube flies for Great Lakes steelhead (including over 28 hot tube fly patterns) can be found in John Nagy’s classic book “Steelhead Guide, Fly Fishing Techniques and Strategies for Lake Erie Steelhead”. 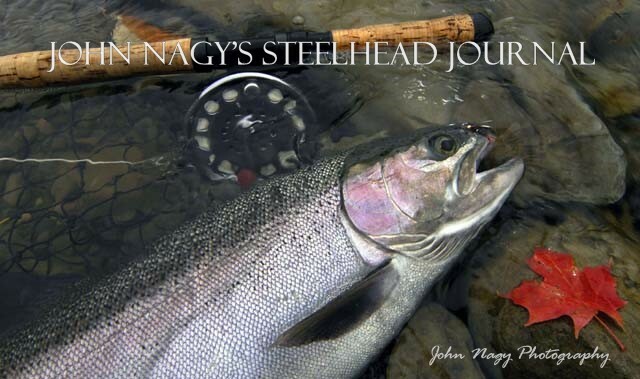 His “Steelheader’s Journal” makes a great companion book to the Steelhead Guide and is now available.